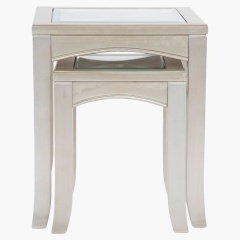 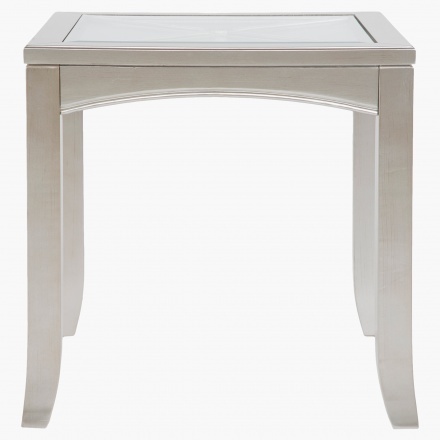 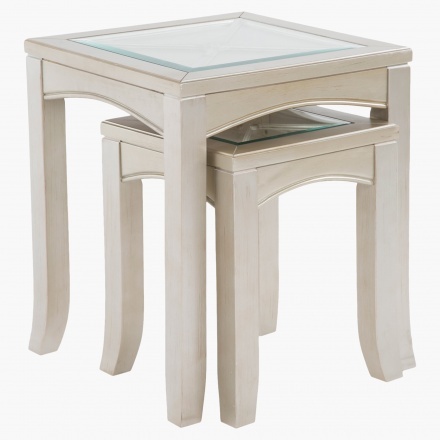 Ideal for all kinds of living room set up's, this nest of tables is just what you need. 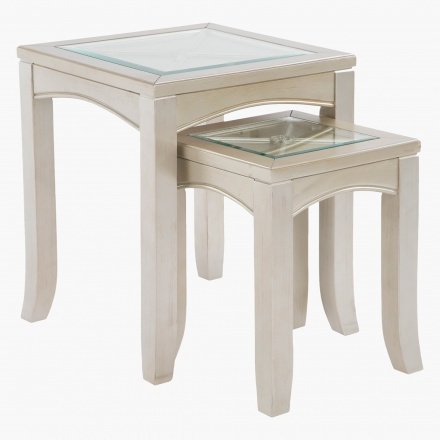 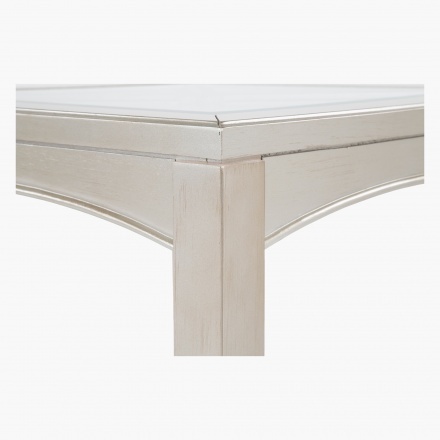 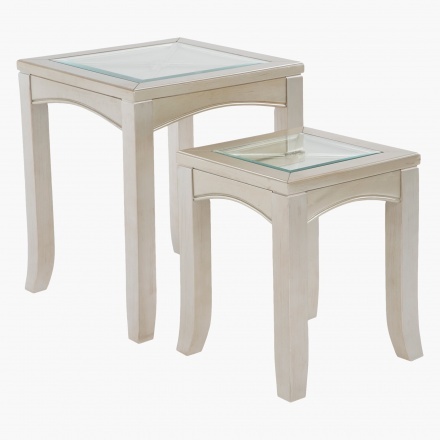 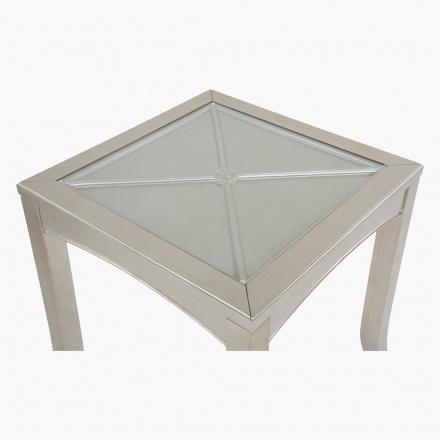 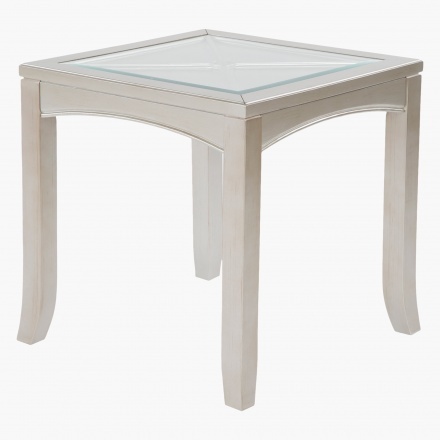 Flaunting a glass top and durable frame and legs, this set has two tables and has a square shape and looks modern. The solid wood and tempered glass make it just what right pick.